In November of 2013, The Rebuild the Nest organization held a “Last Lap” event to raise funds for the CCUSD Sports Complex renovation project. 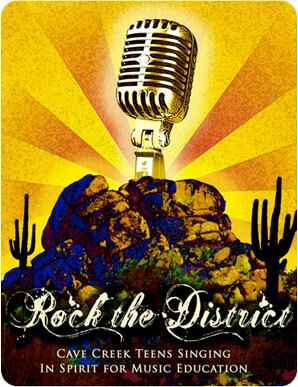 Several of our Rock the District students and student performers stepped up to support this event by providing entertainment and making personal financial contributions. In turn, the CCUEF board followed THEIR lead, awarding a $5,000 matching grant in support of this important community athletic facility. We are proud to provide this grant that falls under our Health and Wellness pillar of support to the Cave Creek Unified School District.